Happy Halloween! 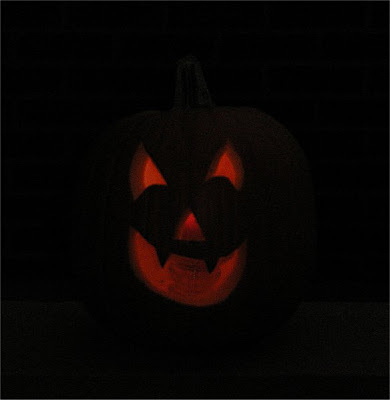 I carved this pumpkin and had it on the porch for the Trick or Treaters to see. 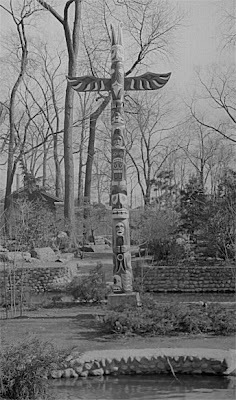 Does anyone know where this totem pole is located? What Native American tribe, if any, does it represent? The photo appears to be from the 1940's.